One of my New Year’s Resolutions for my family was to do some random acts of kindness. I want my kids to understand the importance of being kind and helping others. I also want them to learn to be contributing and thoughtful members of society. Throughout the year, we’re going to be doing some random acts of kindness to focus on these goals. We love to read here. One of our favorite activities is going to our local library. It has a great Children’s section, with a huge selection of books, fun toys and a puppet theatre. Our librarians are fantastic. My daughter was quite excited last year when she could write her name because it meant she could get her own library card! We like to go, connect with other kids and families while we are there and get some different books to read for the next couple of weeks. The last time we went to the library, we got a couple of books on kindness and consideration. Kindness by Kimberley Jane Pryor and Consideration by Sarah L. Schuette. Both books talk about helping others and being thoughtful. 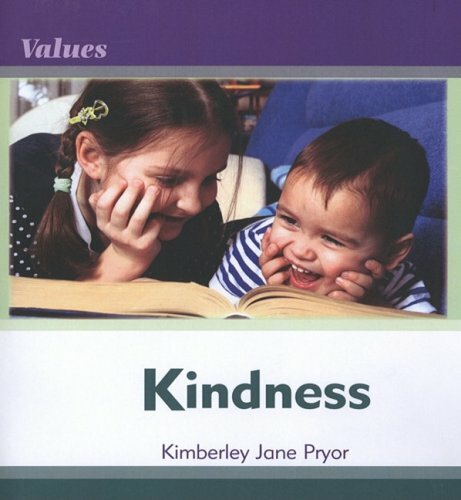 Kindness by Kimberley Jane Pryor goes into even more detail and gives examples of how you can be kind to your family, your friends and people in your community. This was a great way to start the conversation about doing random acts of kindness during the year. We have a ridiculous amount of books in our home. I was noticing we have some doubles of books here and some books are getting to be too young for our kids. We went through the kids bookshelf and gathered up a box of books. As a family, we brought the books to the library and donated them. I’ve done this several times before, but this is the first time I did it with the kids and talked about it with them beforehand. I spoke with them about giving back to a place that has been so great for us and our family. We can help other people enjoy books too! After we dropped off the book donation, we went upstairs to the children’s section and took out some more books, of course :-) As the kids get older and outgrow more books, we’ll donate those to our local library. Have you ever done a random act of kindness?